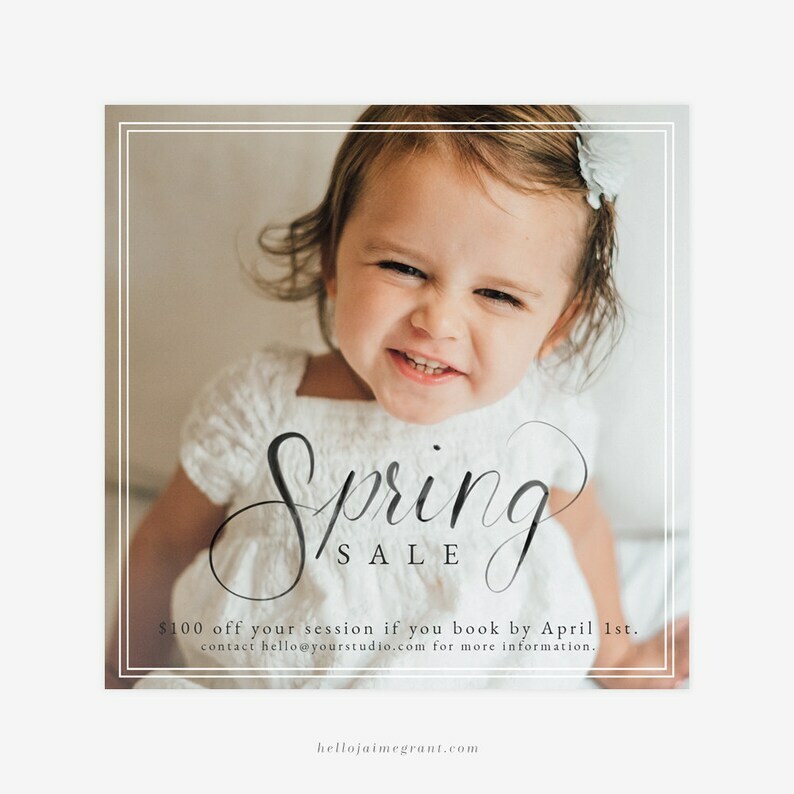 This modern, minimalistic Photoshop marketing template featuring "sale" hand lettered by yours truly, is a timeless way to announce and advertise your upcoming sale or mini sessions. Perfect for photographers, boutiques, and small businesses. All text, except for "Spring" is editable text.